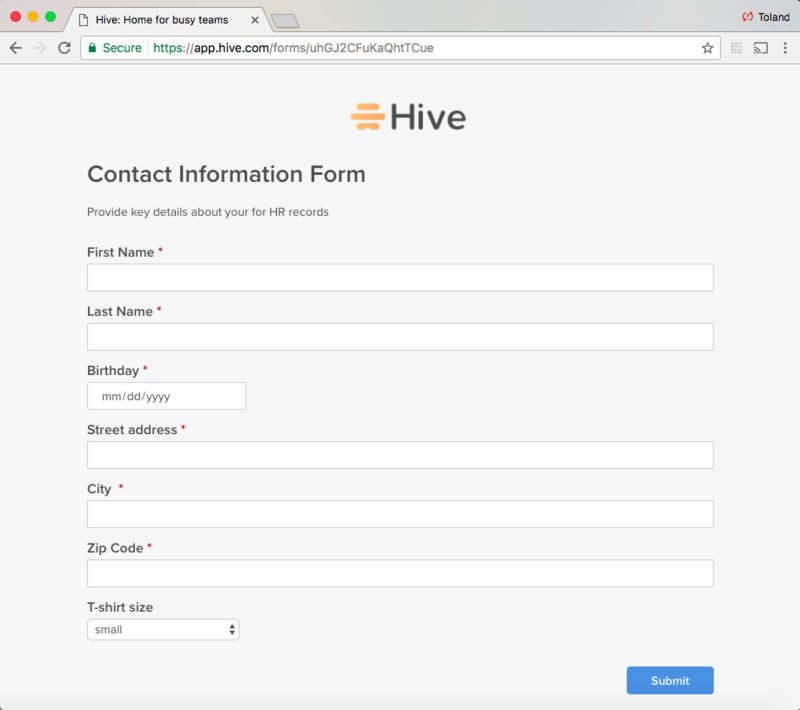 In Hive, you can create custom forms that anyone can fill out in their browser. 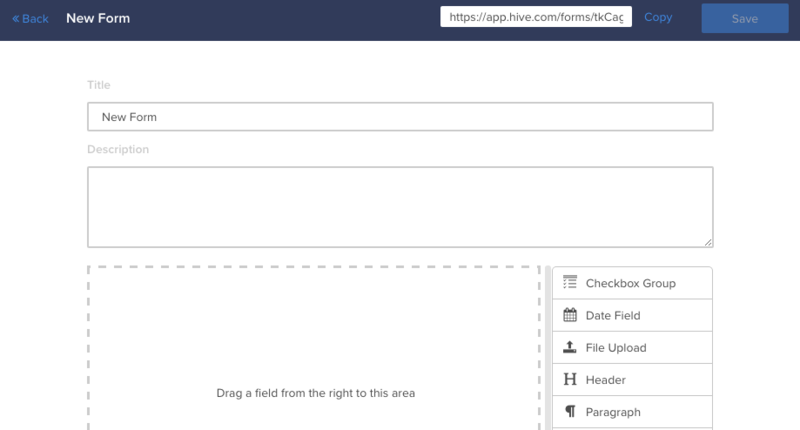 Submitted forms automatically create an action card in Hive with all the form details. Depending on which field you choose, you have the option to make it required, add help text, set a max character length, and other customizations. This is the message that the person will see after they submit the form. 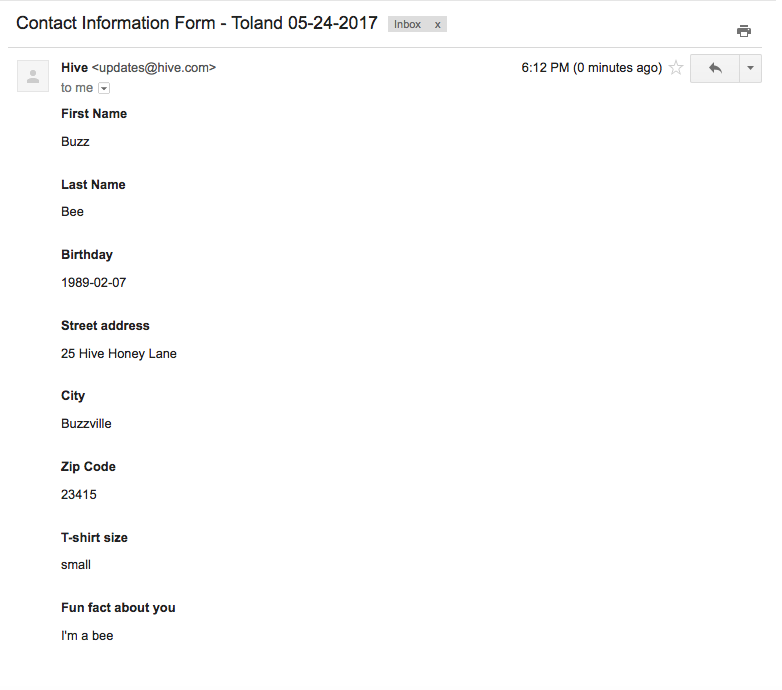 Email - you can provide an email and all the information provided in the form will arrive in that inbox. See below. Hive Action - it will automatically create an action in Hive in the project and assigned to the person you select. It will look like this. Each form come with a link that you can share or post on a website. To access the link, scroll to the top of the form and you will see a white box with a link. Click the button "copy" to save it to your clipboard. When a person clicks on the form, they will be taken to a web page that looks something like this. There they can fill out and submit their information. 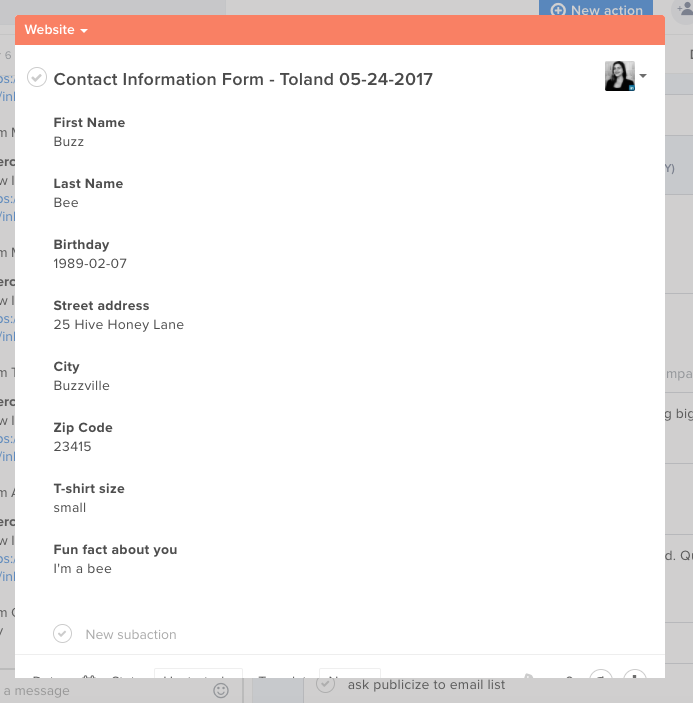 The "Form" feature is definitely an awesome way to get things done!